Well, at least one of us woke up with a smile at 0 400 hours! We got a call last night from UCLA to report to admit at 5:45am so it looks like Rudy will be first on today’s list … At least we won’t hit morning rush hour in LA ;). Wishing you a safe journey on the road getting there. Many prayers for Rudy and all of you – may he do well during the cath procedure and may there be a favorable outcome and positive results for his lungs. 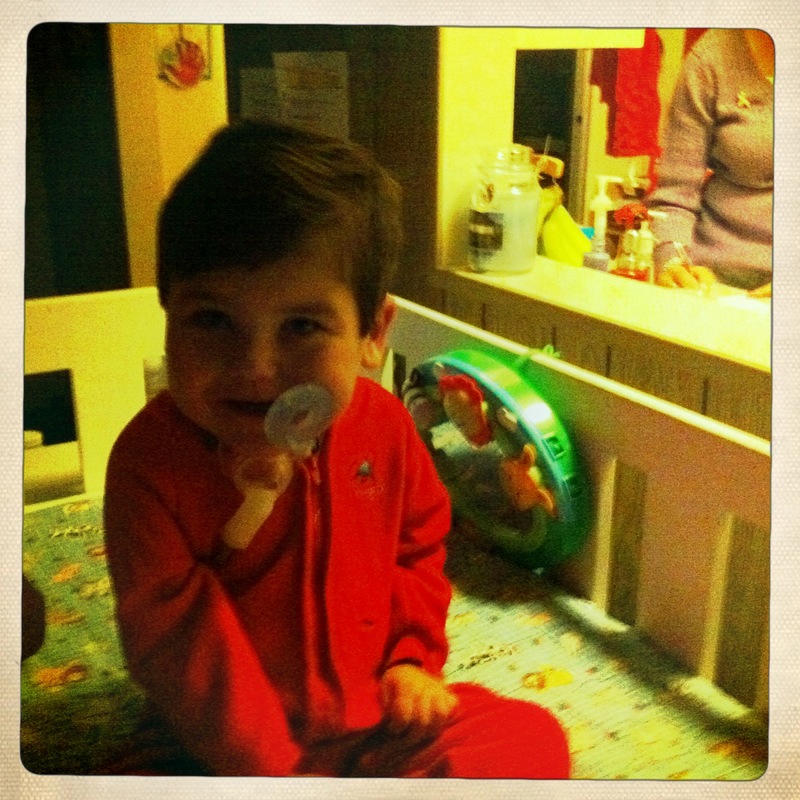 Thinking of you all…..
Sweet little man.. lovin those jammies! Hugs and kisses to all. Praying for you!! Praying for safety and for good news today!